The Mountain Water District serves the water and sewer utility needs for all of the unincorporated area of Pike County. Mountain Water District was created by the merger of Pond Creek Water District, Marrowbone Water District and Shelby Valley Water District on July 1, 1986. 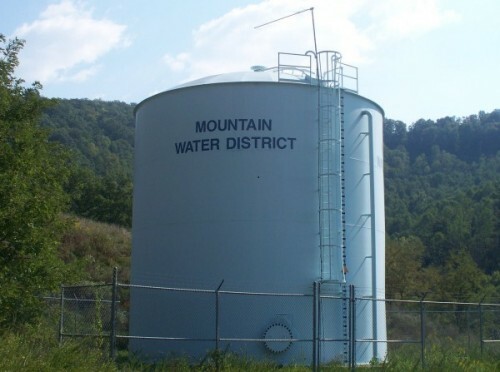 Mountain Water District provides water service to more than seventeen thousand (17,000) homes and businesses in Pike County and sewer service to more than twenty-three hundred (2,300) homes and businesses. ROUTE 194 AT KNOX CREEK OF STOPOVER FROM HOUSE # 53000 ROUTE 194 TO THE VIRGINIA STATE LINE, INCLUDING 1 MILE UP CAMP CREEK. CUSTOMERS WISHING TO PAY BY PHONE WILL NEED TO CALL 1-855-984-1204. THIS IS AN AUTOMATED PAYMENT SYSTEM AND YOU WILL WANT TO HAVE YOUR ACCOUNT # WHEN CALLING. WE WILL ONLY BE ACCEPTING PAYMENTS AT OUR OFFICE NUMBER IF THE ACCOUNT HAS BEEN DISCONNECTED. CUSTOMERS WILL BE ABLE TO PAY USING AN ECHECK OR DEBIT/CREDIT CARD AT THIS NUMBER. PLEASE NOTE THAT PAYMENTS WILL BE PROCESSED THE NEXT BUSINESS DAY. IF YOU ARE UP FOR DISCONNECTION YOU WILL WANT TO STOP BY OUR OFFICE TO PAY TO AVOID DISCONNECTION OF SERVICE.